As a pilot whose flying has been mostly limited to the more traditional and plain-vanilla type-certificated trainers, I must admit to the fleeting curiosity that registers whenever I see the word “Experimental” painted on the side of an aircraft. I suppose anyone who is not familiar or has never been exposed to experimental aircraft might also consider this genre of aviation a bit of a mystery. While some of the more well-known experimental aircraft are the centers of attention at air shows and fly-ins across the country, you might be surprised to learn that the experimental tag is hardly limited to just vintage warbirds and flashy home-builts. From Scaled Composite’s massive 1.3 million-pound Stratolaunch, powered by six 747 engines, to the nimble 16-foot SubSonex personal jet, to the backpack-sized JB-6 JetPack, experimental aircraft cover all extremes of the aviation spectrum and everything in between. Equally diverse and somewhat less apparent about experimental aircraft is how greatly they can vary in terms of their scope and purpose, not to mention their operating characteristics and limitations. Ok, you might be asking yourself, why do I need to know about the experimental world? You may very well be content with flying a type-certificated aircraft with a standard airworthiness certificate, and that’s just fine. But maybe the thrill of showcasing an aviation antiquity or the excitement of building or even racing your own aircraft is an aviation itch you’ve always been eager to scratch. If so, understanding more about these “birds of a different feather” could be your ticket to some exciting new aviation opportunities. Research and development (R&D): to conduct aircraft operations as a matter of research or to determine if an idea warrants further development. Typical uses for this certificate include new equipment installations, operating techniques, or new uses for aircraft. Crew training: for training an applicant’s flight crews. This normally includes a manufacturer’s employees who need to be trained in experimental aircraft but may also include a company/applicant that operates an experimental aircraft and needs to train its pilots/employees to obtain an appropriate type rating or authorization to serve as pilot in command (PIC) of the aircraft. Market surveys: to conduct market surveys, sales demonstrations, and customer crew training for U.S. manufacturers of aircraft or engines, or a person who has altered the design of an aircraft type-certificated in the normal, utility, acrobatic, or transport category. Amateur-/kit-built and LSA: Operating amateur-built, kit-built, or light-sport aircraft (LSA). UAS: Special airworthiness certificate, experimental category for Unmanned Aircraft Systems (UAS) and Optionally Piloted Aircraft (OPA). We’ll touch on some of these different areas, but first let’s review the basic intent of the experimental category. This category is intended to allow operation of an aircraft that does not have a type certificate, or does not conform to its type certificate but is in a condition for safe operation. While this might seem a bit daunting on the surface, the concept has been safely embraced and practiced since the early days of aviation. A more formal codification of the experimental category came later on during the post-WWII R&D and rule compliance “experiments” conducted with surplus and new-entrant aircraft, and with a burgeoning home-built market in the 1950s. There are two main sets of FAA regulations that pertain to experimental aircraft: Title 14 Code of Federal Regulations (14 CFR) section 21.191 covers the issuance of a certificate, while 14 CFR section 91.319 covers the operating limitations. Both are vital to understanding how experimental certificates work, and what the FAA uses as its letter-of-the-law basis for compliance and guidance material. 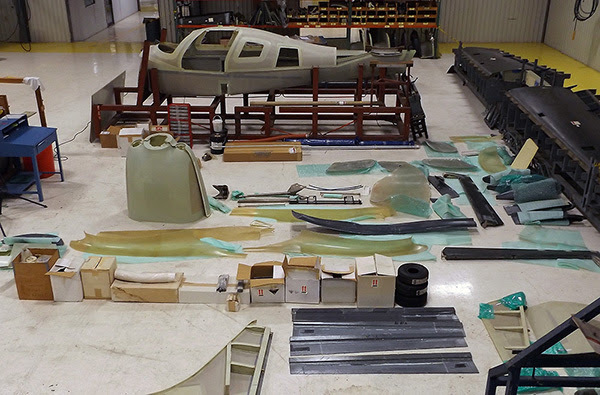 There are also a number of Orders, Advisory Circulars, and related forms that help compose the policies and procedures for experimental aircraft. Click here for a full list of links. Chief among these is FAA Order 8130.2J, Airworthiness Certification of Aircraft. Chapter 4, Section 2 of this document provides common policies and procedures for issuing special airworthiness certificates for experimental purposes. While the Order applies to aviation safety inspectors and FAA designees, it provides immense detail on how to get your “ducks in a row” when it comes to obtaining an experimental airworthiness certificate. A separate chapter for each of the previously listed experimental categories provides step-by-step procedures of the certification process, including any applicable inspection and flight test requirements. Given its importance in the growing experimental arena, Order 8130.2 has become a living document in the true sense of the term. According to Aviation Safety Inspector (ASI) Tom Leahy of the FAA’s General Aviation and Commercial Division, the FAA relies on weekly, if not daily communication with the aviation community to ensure consistency of future updates to the Order. Leahy also notes the Order is heavily reliant on due process and public comment to keep it aligned with evolving industry needs. Despite its great importance to experimental flying, Leahy notes the Order is not always well known in the community. “Take the time to read and review this Order and really understand what you can and can’t do with your aircraft.” That’s important since rule number one for flying an experimental aircraft is that you must comply with all of the operating limitations on that special airworthiness certificate. This applies to subsequent owners too. If you don’t, you are in violation of part 91 operating rules (section 91.9 to be precise). The good news is that revisions to Order 8130.2 have made checking your limitations a lot easier. Appendix D of the Order includes a list of what parameters and operating limitations might apply to your situation, as well as which FAA office to contact in case you need clarification or help. For example, since part 43 does not apply to experimental aircraft, operating limitation 15 in Table D-1 of the appendix details the maintenance program requirements that must be met depending on the aircraft type. It lists the FAA’s Aircraft Maintenance Division as the responsible office. This limitation would be particularly relevant to the aforementioned Stratolaunch — you don’t want just anyone working on a six-engine, 1.3 million pound aircraft that launches satellites into space! To further assist with building your list of operating limitations, the Order also has a link to a simplified online job aid—click here to view it. Just remember that 8130.2 lists the minimum limitations that may be applied to a special airworthiness certificate; additional limitations can still be applied depending on the aircraft type, operating area, intended use, etc. Now that we have some regulatory context for the experimental category, let’s look at some of the practical applications this type of airworthiness certificate can allow you to do. For starters, both individuals and manufacturers can use an experimental certificate to help them do something special with an aircraft that might otherwise be outside the scope of its type certificate or supplemental type certificate (STC). In this case, the R&D and compliance categories would allow someone to research and/or test out a design, and then validate that the changes still keep the aircraft in compliance with the regulatory structure of the NAS. These experimental categories would be something that a manufacturer like Boeing typically uses if they want to bring a new aircraft into the part 25 arena with a standard airworthiness certificate. On a more personal scale, maybe you’ve noticed a new composite propeller you think would work great on your Cessna 182, but is not approved for use on your aircraft. You could pay a visit to your local Aircraft Certification Office and put together an STC project to try to get the new prop approved. Using the forms and information we discussed earlier, you would then apply for an R&D experimental certificate, test the aircraft in accordance with the applicable operating limitations prescribed, and report that data back to the FAA. If it passes muster, you could continue to use that prop through issuance of an STC or a field approval. Other similar R&D/Compliance examples might include installations of new engines, winglets, or wheels and brakes. the aircraft complies with acceptable aeronautical standards and practices. Amateur-built aircraft may be constructed from a builder’s original design, purchased plans, from a kit, or a combination of these. 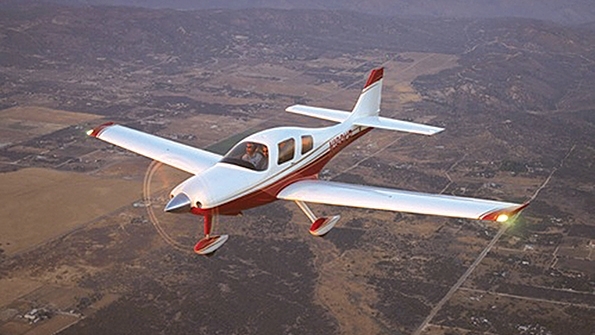 Three important resources for someone who wants to embark on an amateur-built project include Advisory Circular (AC) 20-27, Certification and Operation of Amateur-built Aircraft, the FAA’s amateur-built website and the Experimental Aircraft Association’s website. 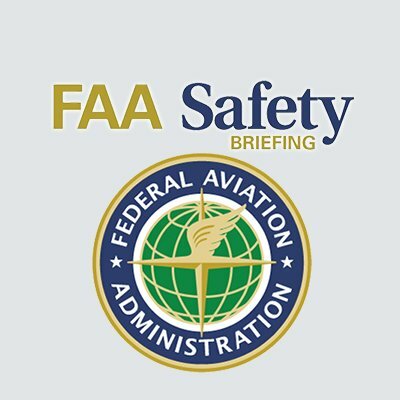 Experimental certificates for operating amateur-built or LSA aircraft (as well as exhibition and air racing) may have operating limitations issued in two phases. Phase I is considered the initial flight testing phase, where a pilot must demonstrate the aircraft can perform according to your plan (i.e., how it’s supposed to handle during a range of maneuvers and speeds) and ensure the proper operation of systems. The end result of Phase I is the creation of your aircraft’s flight envelope and your very own customized Pilot’s Operating Handbook. This process typically takes 40 hours but that can be reduced to 25 in some cases. (Note: the FAA is looking closely at developing a risk- and task-based Phase I flight test program in the near future that produces quantifiable results. Stay tuned for more). Once Phase I is completed, the operator may enter Phase II, which is essentially normal operations with much more liberal limitations. To flesh out the basics of a Phase I flight test plan, refer to AC 90-89, Amateur-Built Aircraft and Ultralight Flight Testing Handbook. This comprehensive document takes into account everything from selecting the right airport and runway to an exhaustive list of first flight and emergency procedures. Another question to consider before you make that first flight in an experimental amateur-built airplane is how much time and experience you have in this type of aircraft. Reviewing AC 90-109, Airmen Transition to Experimental or Unfamiliar Airplanes, will help you develop the skills and knowledge you’ll need before you participate in a flight test program. One final point on flight testing: you may notice that it is based on utilizing “required crew” only, which for many experimental amateur-built aircraft means a solo operation. That’s not always an ideal situation given the trepidation among many homebuilders to put on their Chuck Yeager test pilot caps, not to mention the ever-increasing complexity and capability of today’s kit aircraft. Realizing the value an extra set of hands and eyes can provide during this crucial period, the FAA adopted AC 90-116, which introduces the Additional Pilot Program (APP), a program designed to improve safety by allowing homebuilders to have a qualified additional pilot on board to assist with flight tests. For more information on this program, see my column (Angle of Attack) in the Jan/Feb 2015 issue of FAA Safety Briefing. Although the FAA is still gathering data on the program, the agency believes that APP has had a firm impact on stemming the accident rate in this segment of flying, especially in those first few hours of operation where 65-percent of accidents occur. 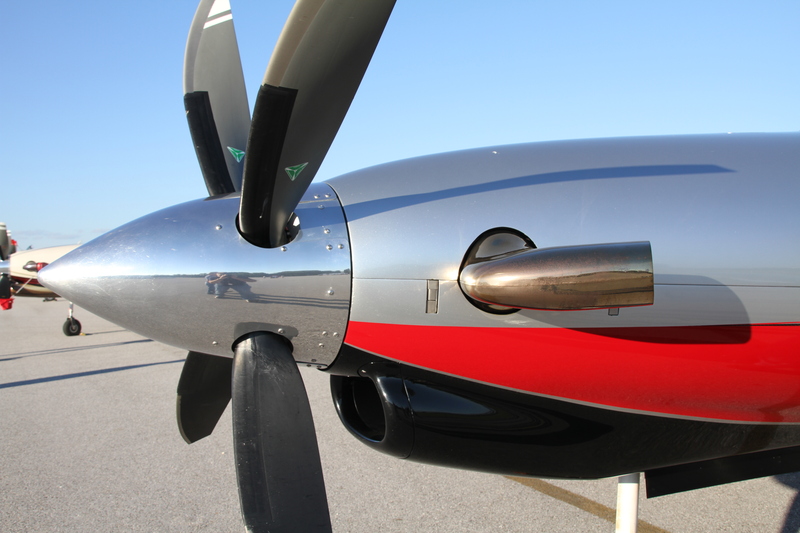 To address these changes head on, the FAA is now in the early stages of rulemaking to modernize provisions for issuing special airworthiness certificates. The Modernization of Special Airworthiness Certification (MOSAIC) intends to address barriers to new entrants and current aircraft owners and provide a smoother continuum of entry points into aviation, operating purposes, and operating privileges. It also aims to level the playing field across both manned and unmanned communities in terms of privileges and limitations. For example, some of MOSAIC’s proposed provisions would expand privileges for UAS entrants outside the current small UAS rule and enable larger and more robust LSA. For the experimental market, MOSAIC proposes to segregate the current purposes for issuing experimental certificates into those that involve experiments and others that simply represent operations in the NAS. This, in turn, should alleviate operating limitations for many operators. It will also help usher in a new era of technology and innovation and ultimately preserve the legacy and pioneering spirit of experimental aviation now and for future generations. Experimental aviation holds a special place in our nation’s aviation history and at the same time presents an exciting path forward for future innovation. Its recognition of the value of human endeavor and ingenuity is what makes the future of aviation such an exciting prospect.